Get access to amazing features that will make your life as a merchant easy. We make it easy to accept payment from your users. Offer your customers a seamless payment experience on your platform. 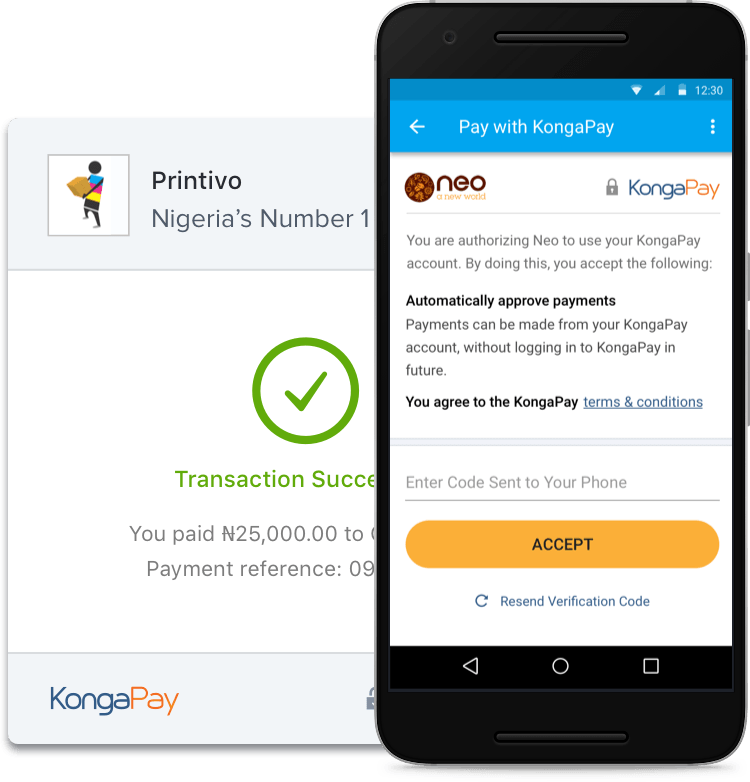 Use KongaPay to process online and offline transactions. Take advantage of our recurring and subscription billing services. Receive payment via QR codes on social media and offline. Monitor your transactions real time. Hierarchical user account creation and management. It's a POS and more! Our prices have been crafted with you in mind. Integrate our service on your website/app with ease. View our various SDK (Software Development Kit) documentations below. Android, IOS or Web? We've got you covered.